This ride provides you with an amazing opportunity to visit the majestic Châteaux’s of the Loire Valley and incorporate several of the most important Renaissance castles in the region. These impressive structures are part of the region’s rich architectural heritage and act as a reminder of the area’s popularity with French royalty and the bourgeoisie in days gone by. During one of the trails you will visit Chaumont sur Loire (15th century), Amboise (15th century) which was once the residence of several French kings, Chenonceau (known as the “Castle of the Ladies”), Cheverny (17th century) which has been owned by the same family for seven centuries and Chambord, the largest of all the castles built by François I. There is also an option to visit the Castle of Blois which was built in the Middle Ages by the local counts and well worth a visit. 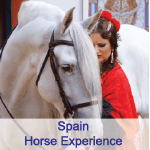 In addition to the castle sites you will have the pleasure of delicious picnics tasting local food and of course some great riding experiences, whether its galloping along beautiful trails or following along a winding riverbank. This is a wonderful trail for riders with an interest in history and architecture. The horses are pure- or cross-bred Paint, Arabian, or Thoroughbreds and warmbloods. They live in a 70 acre field with the herd all year long, and most of them were born at the equestrian farm. They are well-behaved and suitable for all types of rider. This is a journey across the Loire Valley with its majestic renaissance Castles, mild climate and fertile growing lands, staying at different characteristic accommodations each night. A great trail ride for lovers of French history, culture and architecture! Arrival day. If you are arriving by car you welcome to arrive in the late afternoon in Pontlevoy. If you are arriving by train please arrive at Montrichard train station. Overnight in hotel in Pontlevoy. Following breakfast, it will be time for a short briefing and an introduction to the horses. The morning will see you riding toward the village of Fougères-sur-Bièvre where a tasty lunch awaits you at the foot of the villages Castle. The structure was built in the late 15th century – there will be some free time after lunch to take a look around. In the afternoon you will head toward the beautifully furnished Chateau of Cheverny which we are welcome to visit. This property has been owned by the same family for six centuries. Dinner and overnight in a B&B or hotel. In the morning we ride to Chambord Castle and its surrounding forests. Chambord is the largest castle of the Loire area. Its architectural achievement is unmatched, a wonder of elegance in the heart of an extensive natural forest reserve (13,850 acres). After a picnic lunch in the castle grounds there will be a chance to take a tour within the castle itself. Upon re-mounting your horses, you will continue your journey through the Loire by visiting the Villesavin Castle dating back to the 16th century. The Castle has been preserved with near perfect integrity through the centuries it has been standing. Dinner and overnight in a B&B or local hotel. Today we ride through the forest to have our daily picnic at Beauregard Castle. Built under François 1, this former hunting reserve of Chambord has always been famous thanks to its Gallery of 327 portraits of well-known characters and other remarkable qualities. We visit the Castle before riding to Candé-dur-Beuvron. Dinner and overnight in a B&B or a local hotel. Today you will enjoy a leisurely morning ride along the banks of the Loire river, heading towards the village of Chaumont-sur-Loire. This charming place has been granted UNESCO World Heritage status and is well known for its feudal fortress, constructed in the late 15th century, which overlooks the village and the whole valley below. Following a picnic lunch close to the castle, there will then be time for a visit in the afternoon. A feature not to be missed are the grand stables, built in the 19th century and considered at the time to be the most luxurious in all of Europe. In the afternoon we enjoy a short ride across the Sudais forest in order to reach our overnight stop. Dinner and overnight in a B&B or local hotel. The ride today takes you over the hillsides and we discover some areas of vineyards and cereal crops before arriving in Amboise for today’s picnic and a visit to the Castle. The 15th century was a time of great wealth for Amboise with the Kings Louis XI, Charles VIII and François I all adding to the embellishment of the Castle and its surrounding village. In the afternoon, we ride through the forest of Amboise to reach Saint Martin le Beau where we have the opportunity to taste the wines of Touraine and Montlouis. Dinner and overnight at a local hotel. After breakfast, we ride to the Cher Valley, we ride along the river enjoying long gallops. Thus we head to the magnificient Castle of Chenonceau, built on the Cher. The Chateau is known as the “Chateau des Dames” (Castle of the Ladies) built in 1513 by Katherine Briconnet, embellished successively by Diane de Poitiers and Catherine de Medicis, Chenonceau was saved from the rigours of the Revolution by Madam Dupin. It is the flagship of the Loire Valley. After a delicious picnic in the grounds, you will have a chance to visit this “Jewel of the Loire” before returning to the saddle. We leave the banks of the Cher to arrive later afternoon into Pontlevoy. Dinner and overnight at the hotel. Departure after breakfast and transfer to Montrichard train station in the morning. Single supplement €360.00 or if preferred there maybe an opportunity to share to avoid the single supplement. Group transfers are €20.00 round trip at a set time. If you are flying into France it is suggested to arrive into Paris and take the train from here to Montrichard train station. Montrichard is 2 hours from Paris approximately. We will provide a packing list and can help with any other travel arrangements.